The golf legend shared his experience with students of the game. The day before the eyes of the world tuned in to see Round 1 of the 2018 Masters Tournament, all eyes were on a teenager and his legendary grandfather. On the final hole of the annual Par-3 Contest, played adjacent to the course of the year’s first major championship, Jack Nicklaus’ grandson, G.T., took a mighty swing. His golf ball sailed over a lake, landed softly on the green, trickled down the hill, and eventually found the bottom of the cup. The crowd erupted and G.T. got a big hug from his legendary grandfather. During his career, Nicklaus slipped on a half-dozen green jackets right there at Augusta National. His golfing wisdom is coveted by anyone who loves the game. Thursday, the most decorated golfer of all time paid visit to the First Tee of Tampa Bay student golfers to spend some time with them on the driving range. 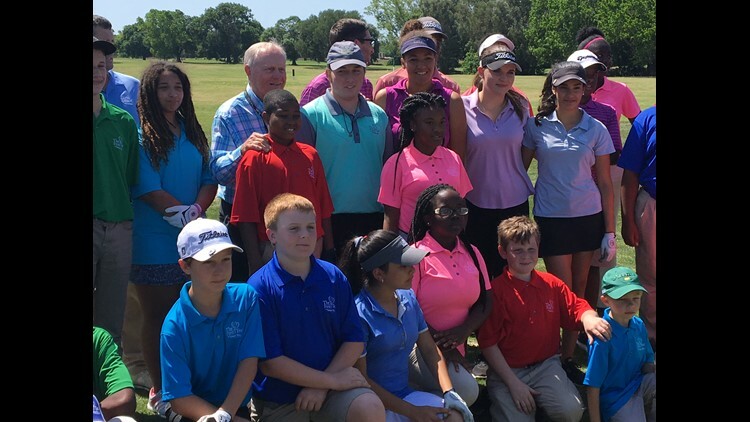 Golf legend Jack Nicklaus shared his wisdom with First Tee students. Some kids were nervous to swing in front of Nicklaus. Others, like 14-year-old Joel Gonzalez, ripped 6-irons down the fairway without fear. Nicklaus smiled as he watched kids lash at range balls. Some hit pure, sweeping drives. Others dribbled the ball a few feet. The smile never left his face regardless of the result. “I saw a bunch of really good kids today who all wanted to learn not only about golf but about life. I think that’s important,” said Nicklaus. “To me, that’s what it’s all about. It’s not about golf. 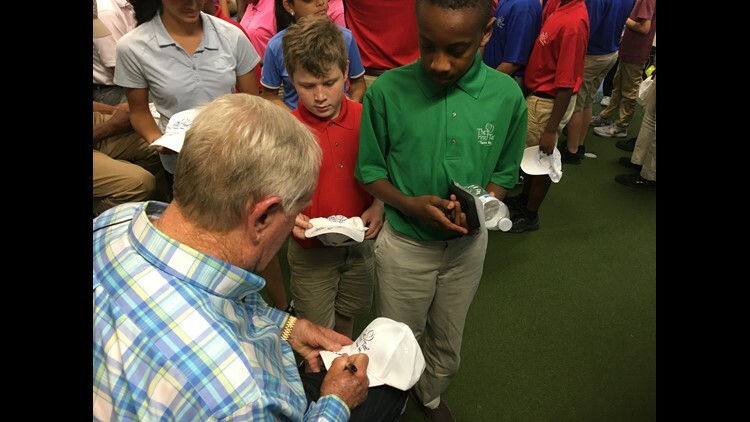 Jack Nicklaus signs autographs for First Tee students. Nicklaus spent about 90 minutes with the First Tee golfers. He signed an autograph for every kid who wanted one.